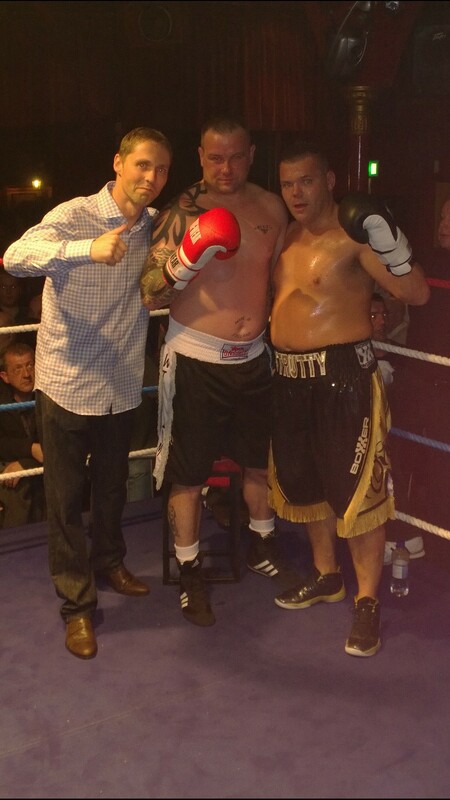 Local boxer Lee Strutt took part in the Hard Hitters Boxing Tournament; the event raising money for the boxing club development . The main event and last fight of the night was between Lee Strutt and David Williams , both fighters kindly donated all personal money they raised from ticket sales to the Alfie Gough Trust. 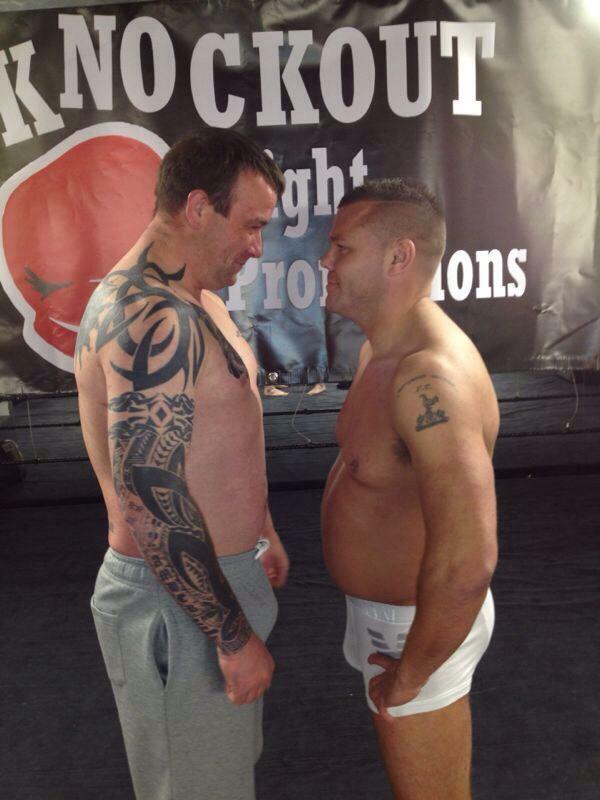 Lee also raised money as sponsorship and in total just under £600 was raised and donated to the charity. A fabulous display of Boxing from Lee brought the bout to an end as his opponent was unable to continue after the 2nd round. 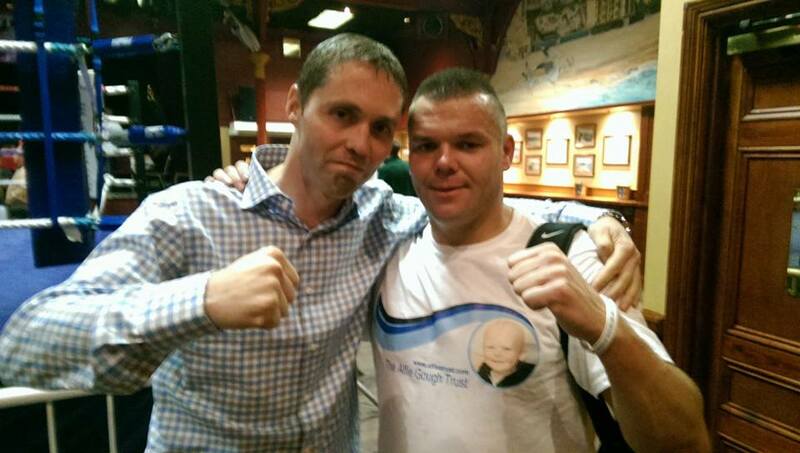 This was Lee’s 6th fight and with the support of the 300 strong crowd it took him to his first ever win. 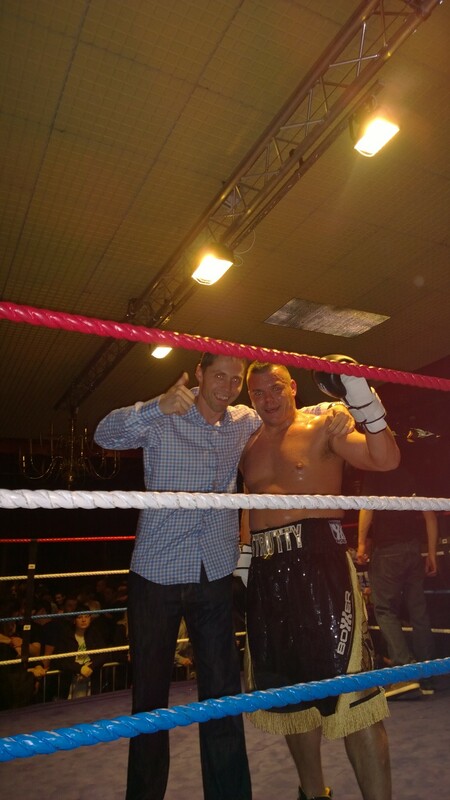 A really succesful night of 10 bouts of boxing organised by Anthony Hill of O’neils Boxing Gym Margate and Malawai Nijar of Pej Court Lettings. 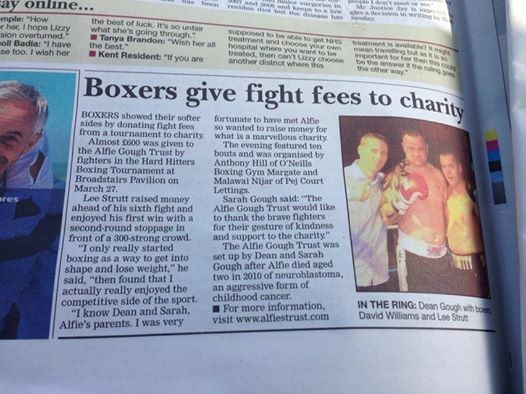 The Alfie Gough Trust would like to thank the brave fighters for their gesture of kindness and support to the charity.